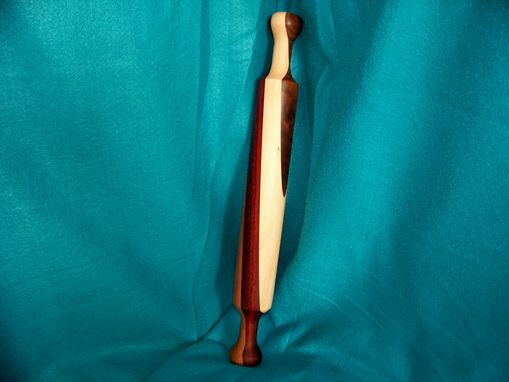 I designed these laminated Rolling Pins so that no two are alike. 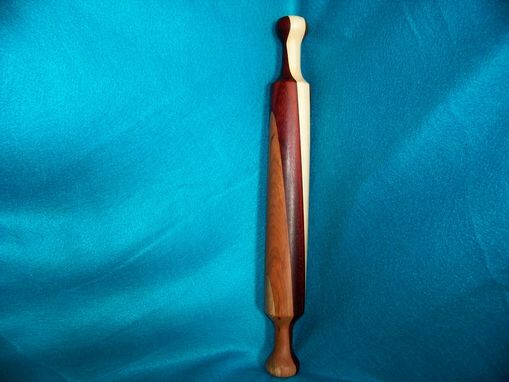 This one has Walnut, Maple, Blood Wood, Black Cherry and Eastern Maple. I do have hangers for this, you can pick the one you want, they are in another picture. I can make custom rolling pins depending on what type of wood you would like. Dimensions: 18 1/2" long x 2 1/4" round weight 1 1/4 lbs.